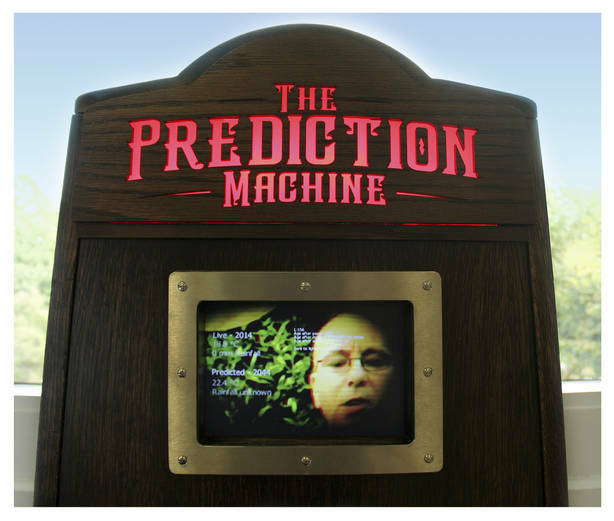 The Prediction Machine is an interactive artwork which aims to engage the public with climate change issues via a fortune telling machine. Created by the artist Rachel Jacobs in collaboration with myself, Ian Jones (Sherwood Wood), Matthew Gates, Robin Shackford, Juliet Robson, Dr Candice Howarth and Dr Carlo Buontempo. 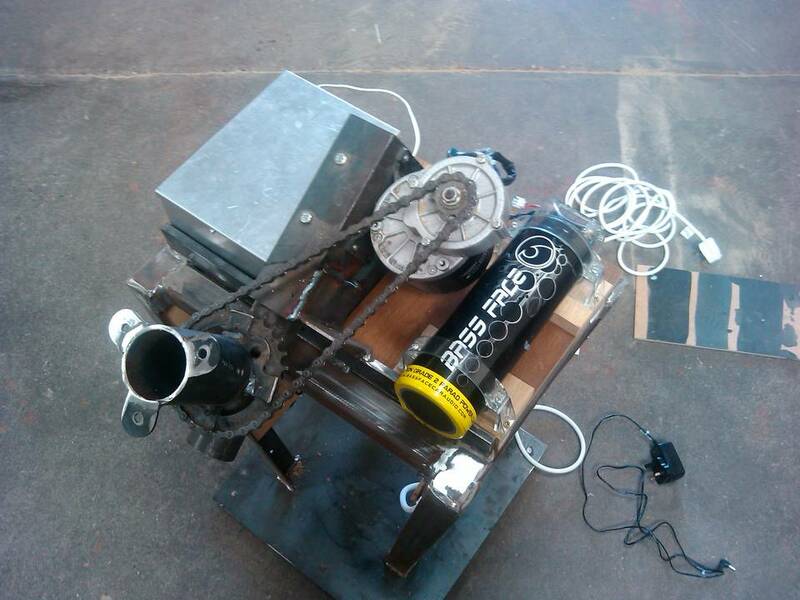 I designed, built and tested the human-power device and electronic and electrical systems. Here are some photos of the unit in action and the build details. 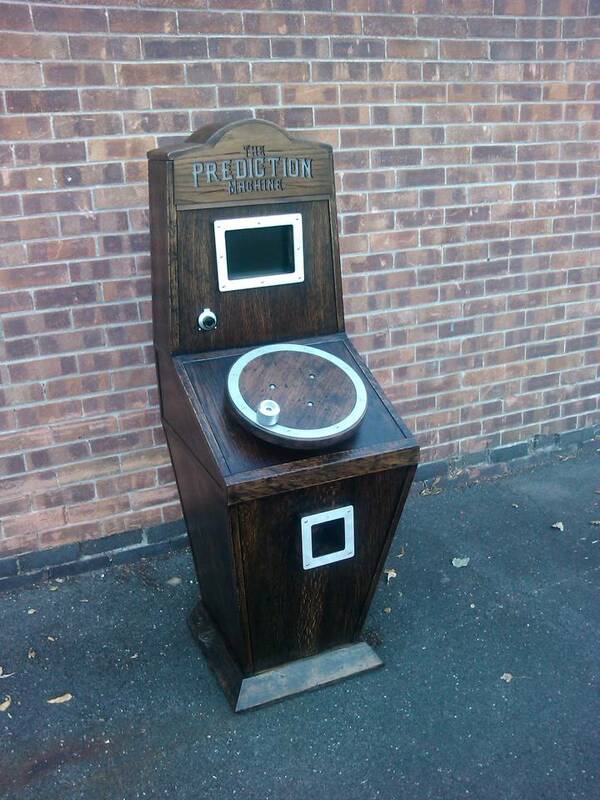 The Prediction Machine will be installed in Loughborough from 1st to the 25th October 2014. It will hopefully be taken to other venues through the year. 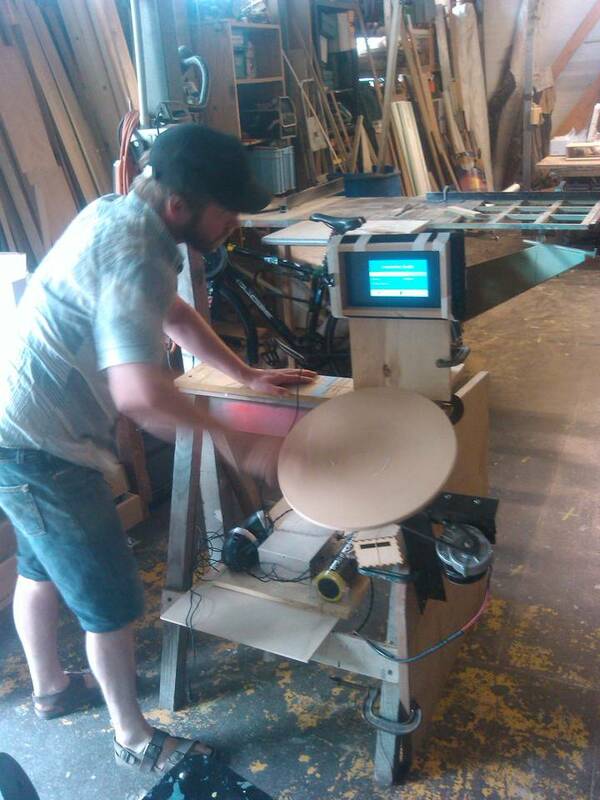 The display and sound are powered from a hand-crank generator, so you need to put some effort in. Real-world weather station data is used, along with future predictions from local residents to create a personallised future prediction. You can set your age to help the prediction. 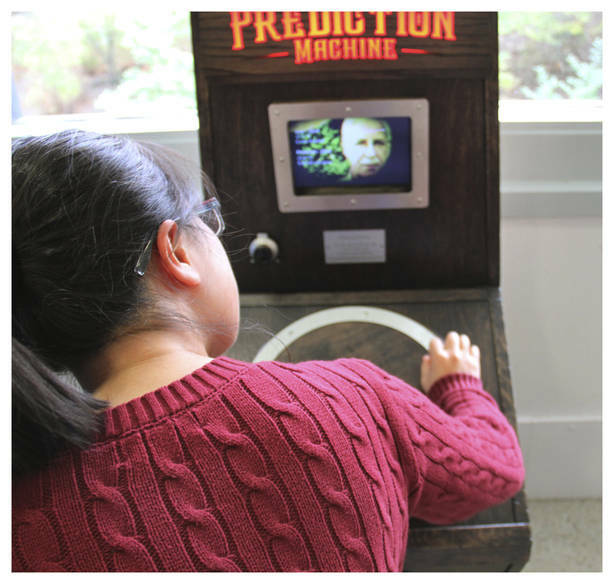 A short video with your prediction is played, as long as you can provide human-power. 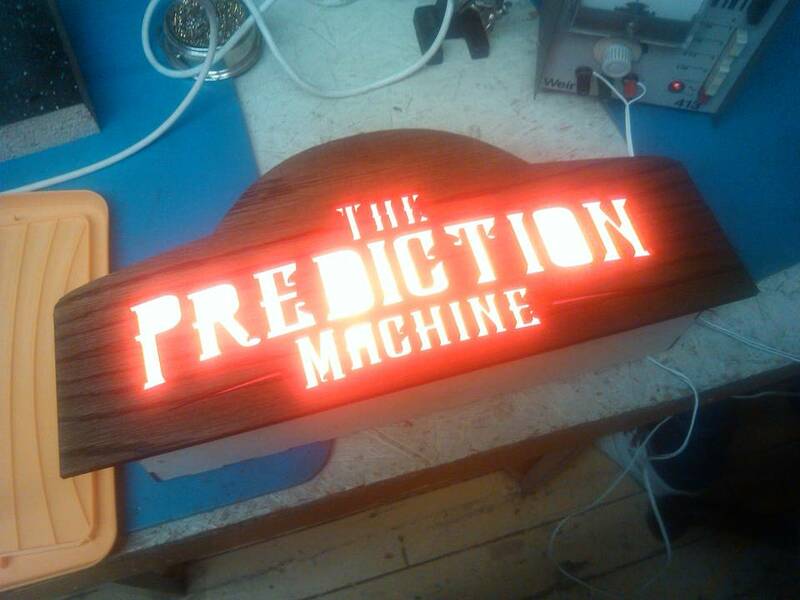 The sign glows and pulsates depending upon the climate change prediction. 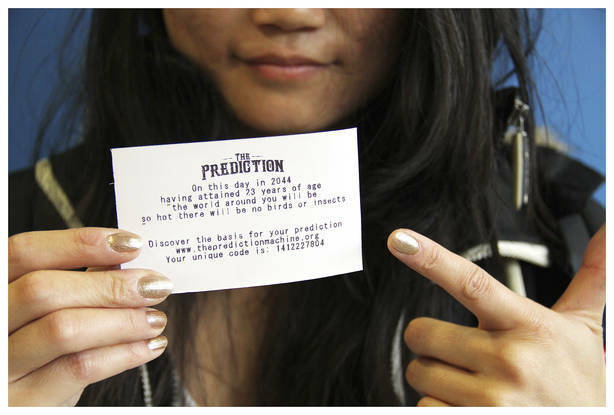 A personalised prediction is printed out. 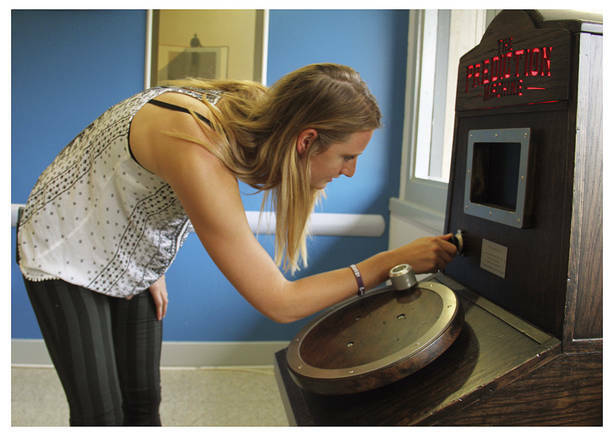 The data used for the machine comes from a weather station on Loughborough University campus. This measures temperature, wind speed, humidity, rain fall and irradiance. This data is uploaded to a “timestream”, so this data is accessible via the internet. 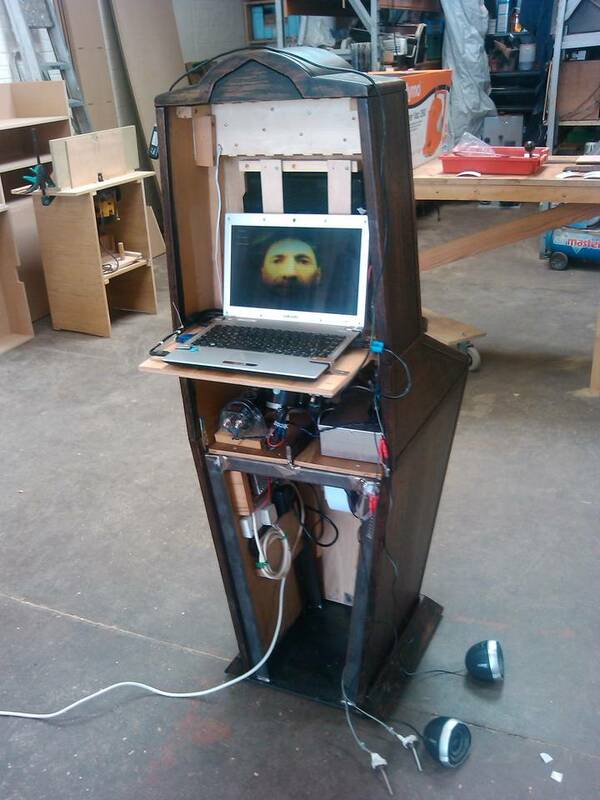 This is done using a Raspberry Pi, programmed by Matthew Gates. The user inputs their age on a dial (a potentiometer) and then cranks on a specially designed hand crank wheel. When there is enough voltage a signal is used to start playback of a video on a small screen, along with an audio track. The inputs are read using a Minimus AVR (basically a programmable microcontroller using the Arduino IDE). The hand crank is an electric scooter motor with a standard bicycle chain and gears. This is regulated through a DC/DC converter to give 12V. 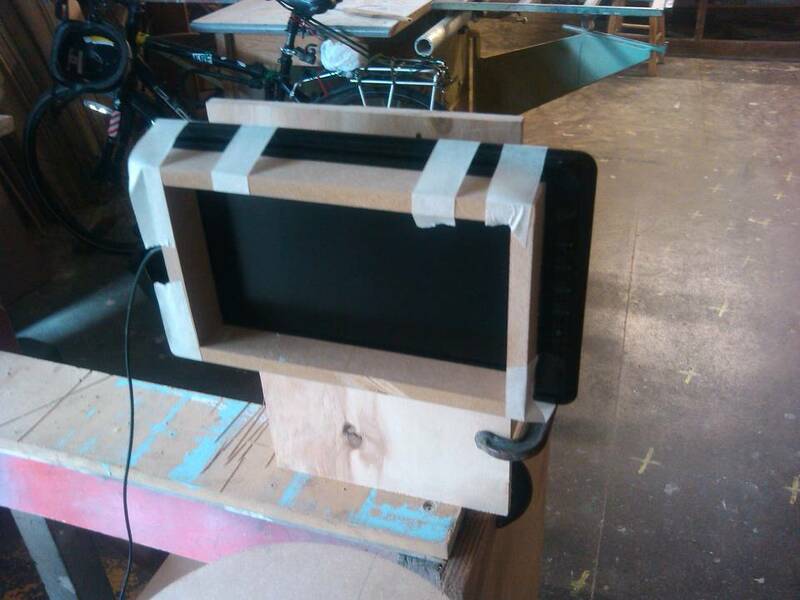 This supplies the small LCD screen and the amplifier. There is a laptop built in to the unit which runs everything. 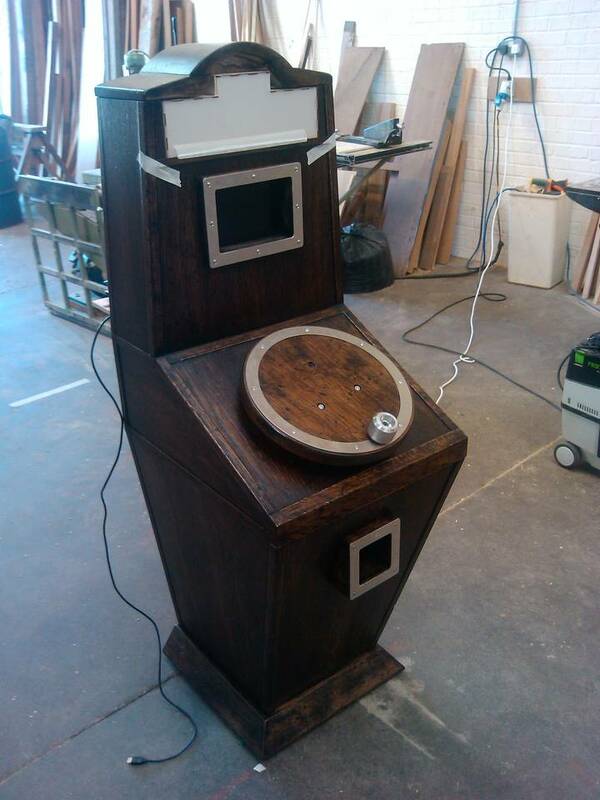 It uses Unity3D as the main control program, programmed by Robin. 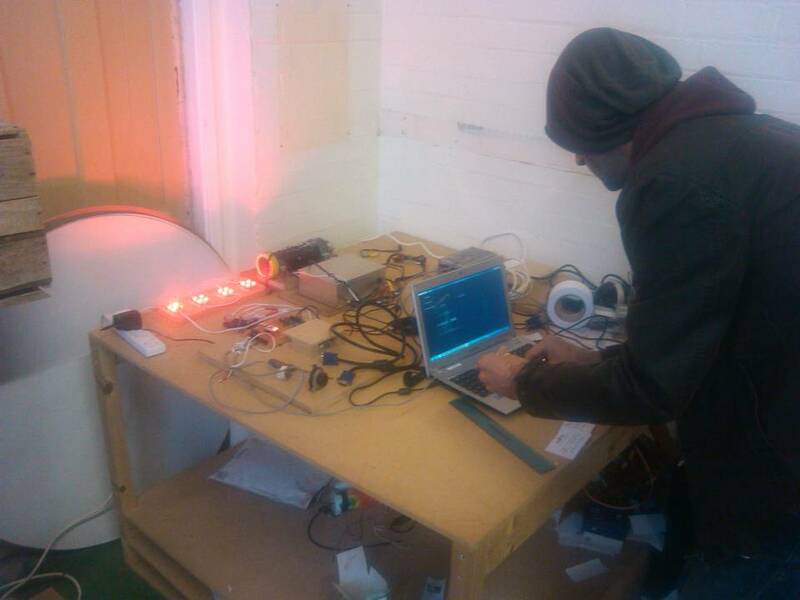 The sign is lit by a bank of LEDs and controlled via the Minimus AVR. This can be lit through 0-255 levels and also can pulsate on and off. This displays the seriousness of the climate change prediction. 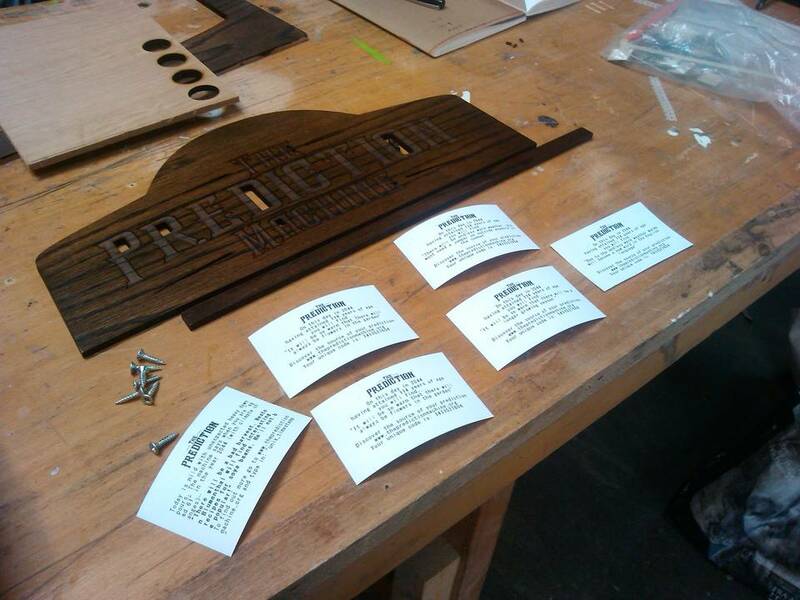 Predictions are printed out using a Zebra Technologies printer embedded control. Serial commands are sent to it to create the print outs. The logo is stored within its local memory. The unit itself was built out of locally sourced oak which was then processed to give it age.